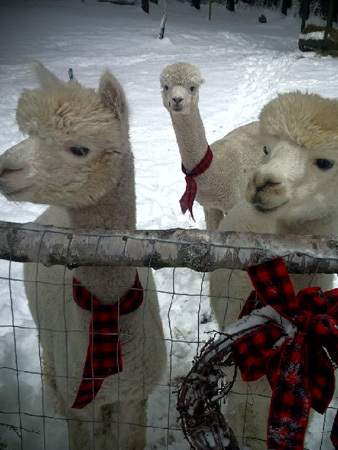 Joseph and Jeffrey welcome you to the Stone Boat Farm, a relaxing and scenic bed & breakfast conveniently located on VT Route 30/100 in the Green Mountains of southern Vermont, midway between the towns of Brattleboro and Manchester and four miles north of the Village of Jamaica. 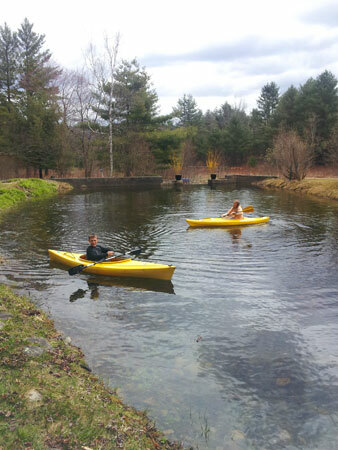 With its own brook and pond, a 40-acre nature trail, and an extensive system of trails, scenic rivers, lakes and ski mountains close by, it is the perfect place for the outdoor enthusiast or traveler who enjoys relaxing and nature to experience the bountiful outdoor activities of southern Vermont year-round. Our five guest rooms (Stratton Mountain, Magic Mountain, Bromley Mountain, Mount Snow) are priced with rates between $125 and $150* per night (based on double occupancy), and additional discounts may be given. The rooms, each with its own private entrance and bathroom, are quaint and offer a relaxing and comfortable setting. Each guest room has complimentary WIFI access and expansive cable TV for your enjoyment. Our philosophy is simple; we want our guests to feel relaxed, comfortable and at home. A hot breakfast is served each morning in the new common room; in addition guests can help themselves to coffee, tea, orange juice, hot and cold cereals, granola, and an assortment of other provided items. The common room is a place where guests and their friends can gather at any time to relax, read, and play board games/cards, enjoy music or just a bit of quiet time. When weather permits we invite our guests to enjoy the patio in the brook/pond area and in the evening use the outdoor BBQ to grill their favorite food items. 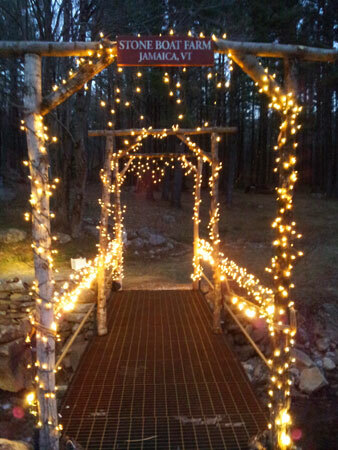 We welcome our guests to sit around the fire pit/campfire and enjoy the star-filled sky and soak in the wonderful evenings and peaceful sounds of nature that the Stone Boat Farm has to offer. Stone Boat Farm has a diverse history. 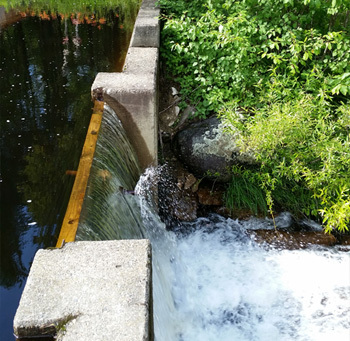 Originally built in the early 1800’s, it was first operated as a farm and later a saw mill was constructed to facilitate the building of “stone boats” which were sold throughout the region. A stone boat is a sled which was often used to haul rocks when clearing land or building roads, walls and house foundations. The barn structure of the farm was later converted and run as a small motel from the 1950s to the early 1990s. 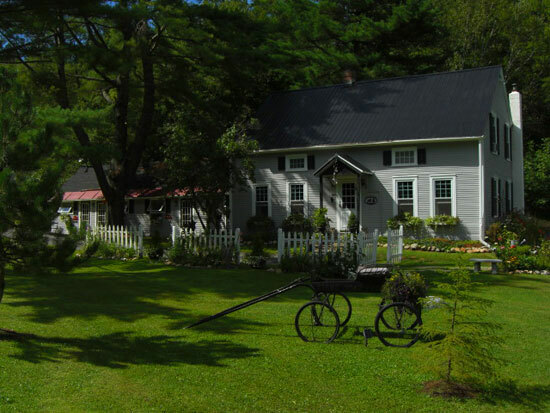 In 2004 the property began running as the Stone Boat Farm Bed and Breakfast. We look forward to adding new services, events and special guest packages for all occasions. 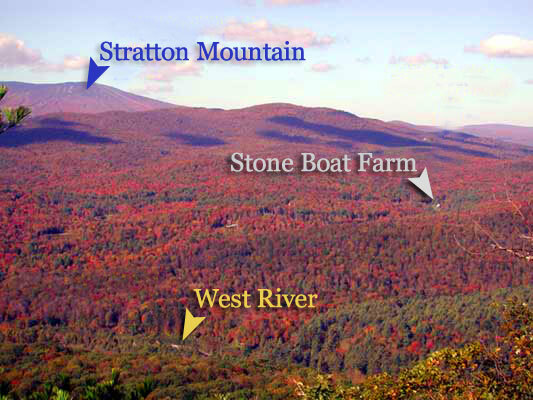 The Stone Boat Farm’s close proximity to the Green Mountain National Forest, Appalachian (Long) Trail, the West and Battenkill rivers as well as numerous lakes and ponds provide the outdoor enthusiast with a myriad of summer and winter activities, ranging from hiking, mountain biking, and kayaking to snowshoeing and skiing. Nearby ski areas (the Stratton Mountain Resort is only 7 minutes away) offer New England's finest downhill skiing experience. Hikers, bicyclists, snowshoers and cross-country skiers will find an ample selection of trails along rivers and lakes with breath-taking views of mountain panoramas. Cross-country skiers will love the well-groomed trails at Wild Wings, Grafton Ponds and the Viking Nordic Ski centers, or the un-groomed trails in the nearby National Forest. 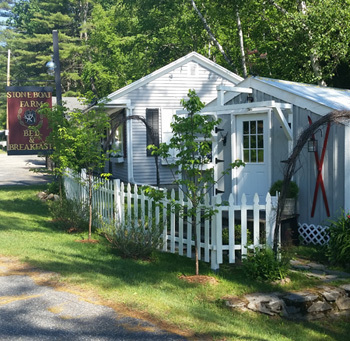 Taking a break from outdoor activities, the nearby villages of Stratton, Londonderry, Weston, Chester, Peru and Manchester offer numerous unique local character, arts and craft shops, antique stores and designer outlets. Visit historic Grafton (only 20 minutes away) and explore a quintessential Vermont village and cheese factory. Nearby villages offer plenty of locally owned restaurants at all price ranges as well as diners offering hearty meals. At the Stone Boat Farm, we often wander on our nature trail, through our 40 acres of wooded terrain, observing nature's gift to southern Vermont. Here you can take a moonlit walk in the forest listening to owls. Various kinds of wildflowers, deer, moose, mink, beaver, black bear, frogs, and even tiny orange salamanders make up some of the native flora and fauna. So if you enjoy observing what nature has to offer, including an amazing brilliant night sky, illuminated only by the light of the campfire, then you will enjoy your stay at the Stone Boat Farm. *based on double occupancy and room size, 9% VT tax not included.